Are you already a practicing real estate agent or planning a career in the industry? Are you seeking practical sales training and marketing ideas? In any case, you've arrived at the right place. This site is growing in leaps and bounds. Every month, many thousands of Canadian and American consumers (as well as guests from around the globe) visit regularly in their quest for information about a popular topic that interests people everywhere - buying and selling real property. With an open mind, I invite you to stay awhile and explore my site. We don't know that we don't know. If you're planning to buy a home, check out the Real Estate Council of Ontario (RECO) website for general information about home buying. Or if a sale is in your near future, here's RECO's site. And here's their page on the subject of working with a Realtor. The steps involved in, for example, how to effectively prepare a home for market, how to negotiate a home purchase or sale, how to handle a buyer bidding war, how to buy a condominium, how to advertise, what to look for in a country property, whether to buy resale or brand new from a builder - and how to choose and work with an agent - are pretty much universal. Wherever you happen to hang your hat, people are always people. Right? 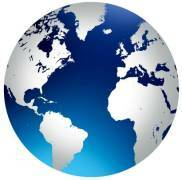 Though some of the specific legal technicalities or traditional protocol may differ somewhat in another Canadian province, the United States or another country, you'll find some great general marketing, negotiation and closing skills and techniques on this site and/or in my book, The Happy Agent. You'll also find links to valuable resource websites that may apply to your own situation, or help you find its counterpart in your own province or country. While exploring this website, if you're unable to find an answer to your particular question, check out the friendly community forums. For example, the topic of this one is private home sales. Others are sprinkled around the site and more forums on other topics are planned for the near future. Or I welcome you to contact me directly with your question or concern, and I'll do my best to respond to your inquiry on a timely basis. If you're a home buyer or home seller interested in learning how to buy and sell real estate or how to work with a real estate agent, I hope you'll find this website a highly valuable resource and save it as a favourite so you can easily return to again and again. 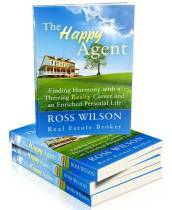 For the enthusiastic home seller or home buyer who is seeking more in-depth guidance - including a little life coaching - I invite you to explore my book The Happy Agent, available through this site, in either print or e-book format, by clicking the appropriate link in the left or right column. Or if you're considering a real estate career and are curious about the fundamentals involved in becoming a successful REALTOR® and building a sustainable realty practice from day one, I believe you'll find The Happy Agent a treasure-trove of effective, ethical selling skills, simple techniques, protocols and general industry information. I believe you'll not find another real estate guide book like it anywhere. 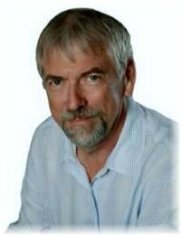 As a 42+ year professional REALTOR® who has been there and done that, I share my extensive knowledge, experience, techniques, philosophies and personal anecdotes accumulated throughout a successful career in sales, management, brokerage ownership, training and individual mentoring. I put my heart in it. 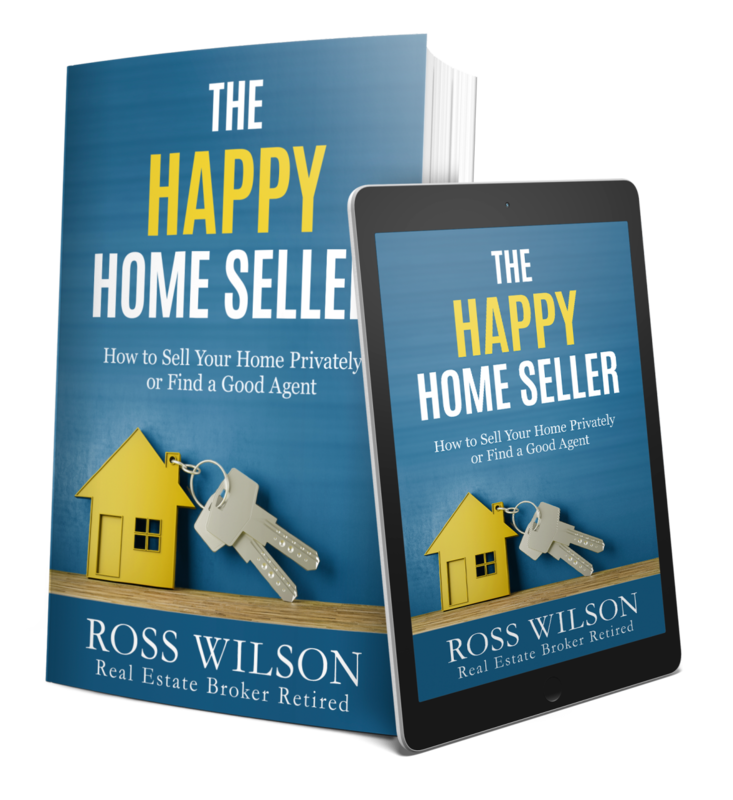 Whether new, a relative beginner or a veteran real estate agent of many years, the smart tools described in The Happy Agent will help you on your quest to succeed in a highly competitive business, one which notably decries an exceptionally high attrition rate. Learn how to increase your net income, avoid enslavement to the business and enjoy a harmonious lifestyle of joy and abundance. If you're an experienced real estate agent, don't think for a moment that you know it all; I admit I don't, though I've been around a block or two. Throughout my career, during which I was consistently in the upper production echelon - virtually from day one - I was always growing, not only from reading and participating in training seminars, but from my peers. I learned a lot about what to do, and importantly, what not to do. I beg you not to allow your ego to make your choice whether to open your mind to the possibility of picking up a few new ideas that could conceivably enhance your practice, if not completely alter your outlook on life. The Happy Agent was written for you, as well as curious and ambitious consumers interested in learning how to do it themselves, and do it well. With a tiny investment of time and money, consumers who opt to go it alone without an agent can expand their knowledge and improve their chances of achieving their goal by delving further into and understanding the sometimes complicated process of buying and selling real estate. Thank you for being my guest. I humbly invite you to get a cup of tea and visit awhile. Begin your personal exploration of my continually evolving knowledge-based website. If you glean only one idea - even just one - from reading my book or exploring this site, whether real estate buyer, seller or agent, then all my efforts over the many years invested in their creation will have proven gratifyingly fruitful.